Construction machinery maintenance contributes to about 40% of total construction project overrun costs. It also contributes to project stalls, missed due dates, and is easily fixable. By taking construction equipment for regularly scheduled maintenance, you are helping your business in many ways. The following are a few reasons why regularly maintaining construction equipment will benefit your business. Regular equipment maintenance is not free. And it often seems like you are paying someone to tell you there is nothing wrong. But that is not why you are paying the technicians or service. You are paying so that they can tune up the equipment and see if anything needs to be replaced. So while you are at the job site, you do not have to worry about the state of your equipment. And you will be able to continue your work without having to pay for emergency service. By the end of the year, you will find that you spent less on your equipment than you had in previous years. Having equipment out of rotation for a few hours for regular maintenance can be a pain. But having broken equipment out for several days to weeks is a bigger issue for you and your company. With construction management software, you can build a comprehensive schedule, not just of your projects, but also for maintenance. Between a regular equipment maintenance schedule and your knowledge of your projects, you can craft a schedule so that preventative maintenance does not hold up a project. By keeping up with regular maintenance you will not have out-of-service equipment for days or more, just a short period of time for maintenance. It also improves the safety of your equipment. By implementing regular machinery maintenance, you improve the safety not just of the equipment but of the job-site. Because you have assurances that everything on the equipment will work the way it is supposed to. You do not have to worry about it breaking and injuring someone. Preventative machinery maintenance along with proper training will help prevent injuries and increase safety on a job site. Which also increases your profit since you will have fewer set-back days. Keeping up with construction machinery maintenance also increases equipment efficiency. Because preventative maintenance checks for wear and damage, it helps keep all the parts working efficiently. Preventative maintenance also checks alignments and other issues in order for users to get the most out of their machines. This leads to greater efficiency on the job site because equipment runs properly. Safety is also improved because it is functioning the way it is supposed to, and no one will feel the urge to fiddle with it to make it work better. And a job will not be delayed because of a broken or faulty piece of equipment. Regularly maintained equipment is often a condition for certain trade organizations and other accreditations bestowed upon a business. 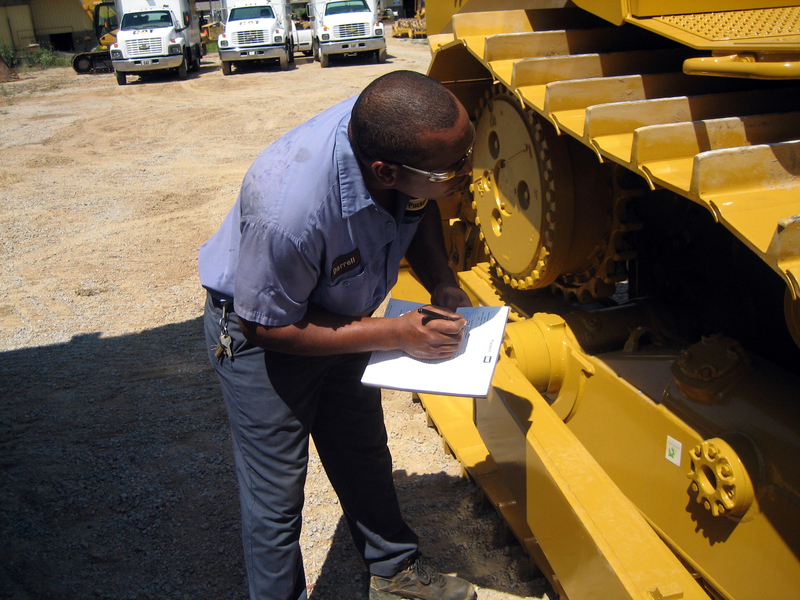 In order to keep accreditations, it is important to keep all construction equipment maintenance up-to-date. This helps with insurance too. Because some insurance companies and policies will not pay out if equipment maintenance is not up to date. Which can be detrimental to your business if you are counting on an insurance claim to pay out and cover your business needs. I do agree with you that with the proper regular maintenance of the equipment, its safety and the workplace are made better. As that is the case, we get to see the need now to give our construction equipment the care and maintenance that it deserves so that we will not worry that it may break down or someone will be injured because it is not taken cared of constantly. That suddenly reminds me of my cousin’s need for the leasing company that will help him buy the equipment that he needs for the renovation project next year and asking me to help him find one.